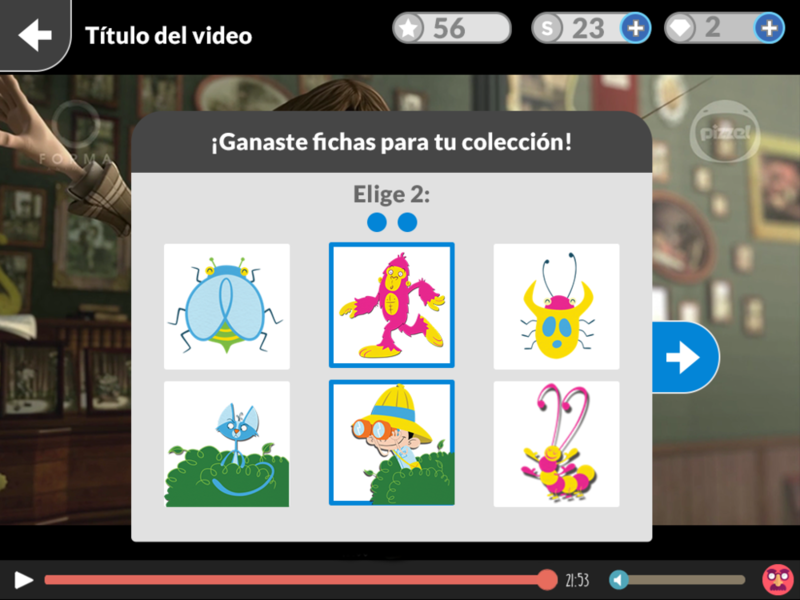 How can we improve children's experience in consuming educational content? Manuvo and Pug Pharm partnered in a project to motivate children from ages 6-12 to learn while immersing them in a game-like experience. When Manuvo approached us, they were about creating a pilot program in a public library in Colombia using Naaybox™, an on-demand catalog of videos, books, magazines, games, and music that can be customised for universities, libraries, and other cultural or educational organisations. At the beginning of the project, Manuvo reached out to us so we could help them create a model of engagement that would motivate children to visit a library more often while making it fun and keeping track of their progress. We started the project by understanding who are our users and their needs: children, parents, and librarians. We used personas and other design-thinking methodologies to develop our users' journeys and mapped out how they interacted with each other at different moments inside the physical space of the library, with its advantages and limitations. After delivering our first insights, Manuvo decided they wanted us to focus on their on-demand content platform regardless of the physical location. The project will still target 6-12 year old children from Mexico, Colombia, Chile, Peru, and hispanic USA, but it will be developed as a mobile native application as opposed to a platform for a library station. We broke the group into three segments based on age: 6-8, 8-10, and 10-12 year olds. These groups were, to a degree, arbitrary and they deliberately overlapped. They were created to assist in the process of targeting certain play types and features and for testing purposes. In reality, childhood development falls along a continuum. As well, play styles and development are affected by gender, economic status, security of attachment, and other environmental factors. Once we selected our design principles, we chose the game mechanics and dynamics to support them. We designed a role-playing game that takes place in a universe in which children will have to complete themed missions to progress. 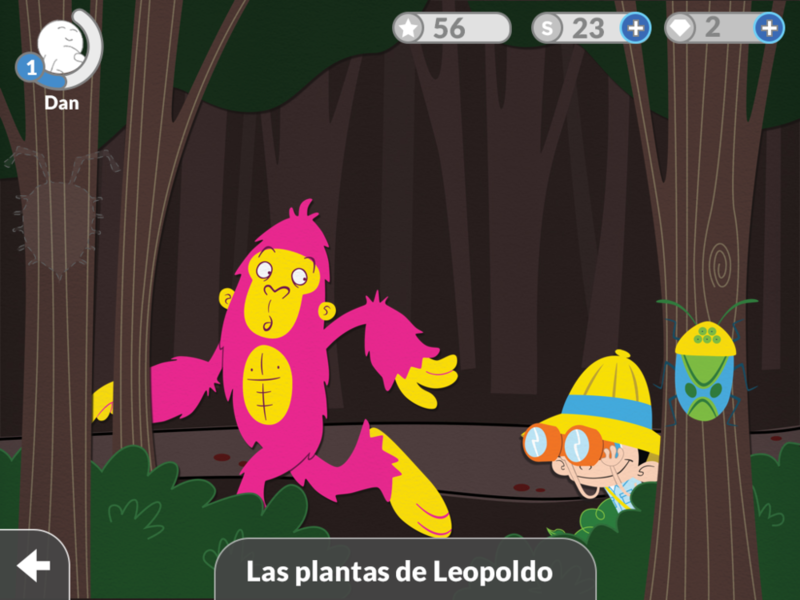 The narrative of the game invites children to explore this new found universe in which they can choose a character, an explorer, as their avatar to play a role in. Content discoverability and consumption are supported by the curation of different worlds that can be themed around genres, topics, authors, etc. and missions–this supports learning objectives around those topics and qualitative progression. The completion of missions and worlds will earn the players points, achievements, and currency to level up in the system–this supports quantitative progression. A mission is a series of curated tasks or activities that users must complete. 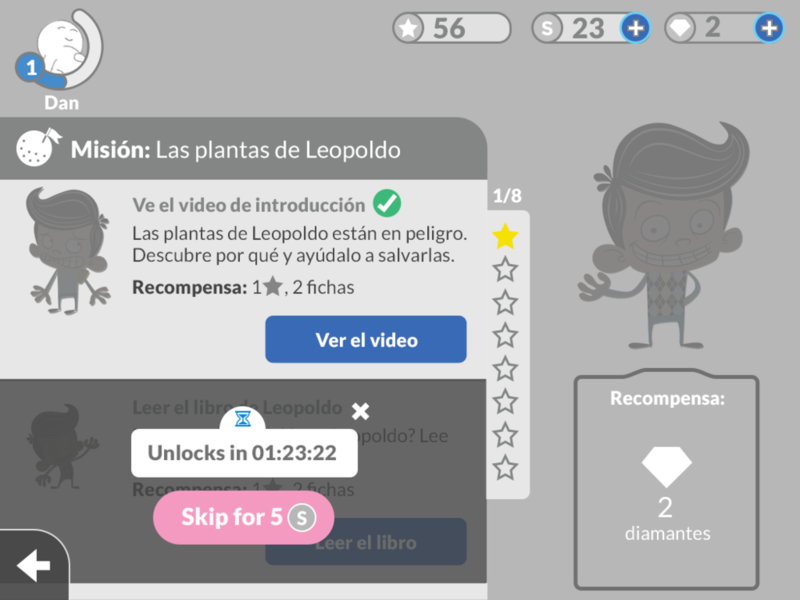 For example, a mission to learn about plants will have the following activities: watch "The intro video", read a book called "Leopold's plants", play the game "Growing plants", and answer one trivia quiz. As they consume content, players will discover and earn collectibles to build sets, puzzles, scenes, etc. These collectibles may also be surprises and/or tokens to unlock more content. - Learning design patterns: By curating worlds and missions that support learning objectives, Naay won't be limited to be just an on-demand platform. - Content revenue: Users of on-demand platforms are not used to paying for content anymore, which is not viable to many editorial houses. However, many of these users still pay for games and upgrades. - Game-like interactions: This is a fun way to use game mechanics that step away from using just points and badges and gets closer to role playing games, with a strong narrative and meaning. - Community interactions: The game offers the possibility of adding both competitive and collaborative mechanics that will keep the community healthy and fun. - Content upgrades and updates: Just as in many games, new worlds and missions can be added as more content becomes available. For this project I delivered UX research, Information Architecture, interaction diagrams, wireframes, and an interactative prototype. Project type: Gameplay design, Information Architecture, UX and UI design.